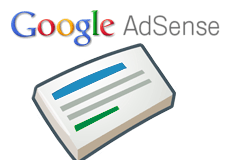 Google announced the support for a new AdSense ad unit, the size is super wide at 970x90. I cannot even show you a sample of this ad because this site wouldn't support it properly - it is so wide. Here is a picture, you can click on it to see the true size. Google said that if you use it, expect to see multiple text ads fill the spot or display ads being centered in the spot, until more advertisers design ad creatives that fit the 970x90 specs. Specifically, you may occasionally see a 160x600 ad in the 300x600 unit, or a 728x90 ad in a 970x90 unit, for units opted in to showing image ads. When this happens, the smaller ad will be served neatly in the center of the larger ad unit. In addition to improving publisher performance, this will enable advertisers to reach a broader audience with their existing ad creatives. The trend has been that Google AdSense ads have been getting larger and larger.